This restaurant offers breakfast all day (as you may have guessed), it focuses on breakfast from a certain corner of the earth and switches up its menu every 2 months. Nothing feels more like brunch than good ol' fluffy pancakes.These pancakes are super soft, almost similar to a soufflé. They also offer seasonal flavors, and you can also choose between sweet and savory pancakes all-year long. 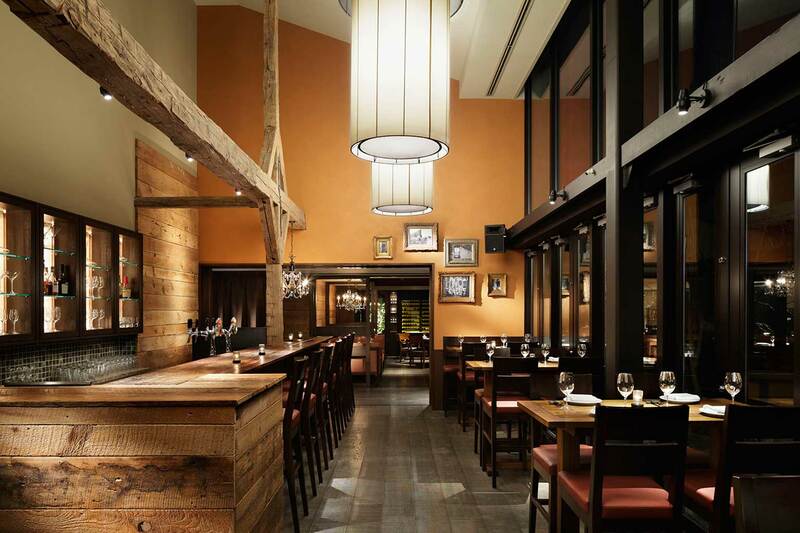 Situated in fashionable Daikanyama, you can have brunch after doing some shopping or browsing the books at Tsutaya. You can grab brunch all day until 9 PM here. It also has vegan and vegetarian options so everyone's happy. Located in Ebisu, they serve breakfast, lunch and dinner. For brunch, I suggest the ultra fluffy pancakes. The café has a very cozy setting with big couches to relax on. Sometimes you just want to eat all the chocolate. Death by chocolate? Only on Sundays. Max Brenner offers brunch, lunch and some savory dishes. But everything else could be eaten in lieu of brunch: chocolate pizza, crêpes, waffles, etc. The best part about breakfast is it's the only meal where you're allowed to eat sweets! Lunch and dinner both start at around ¥1,320. Cafe Kaila is a Hawaiian restaurant in fancy Omotesando. They specialize in pancakes, and they are delish! They are loaded with fruits and whipped cream, it's the perfect way to spend a Sunday morning. You can come here with friends or a date and then continue the day strolling around Omotesando. This casual restaurant specializes in healthy cuisine. They serve vegetables directly from the farm, with a special care for quality and good taste. They cater to people with special diets, such as vegan, gluten-free, low-carb, etc. The best part is that it's affordable compared to many vegan restos in Tokyo. If you're in the mood for something healthy and replenishing, the gluten-free chicken & coriander salad is delicious. But if you want something more filling, the vegan burger is great! In trendy Daikanyama, a few minutes from Daikanyama station, Ivy Place is a great place to catch some sun outside with some friends. After spending some time at Tsutaya next door, a huge bookstore with great books, magazines and also designer goods, you can stop by Ivy Place. It's a really fashionably restaurant that serves breakfast from 7 am, and closes as a bar around 10 PM. You need to try the strawberry pancakes, yum! Viron is a bread shop, but also has a brasserie serving the freshly baked bread on the second floor. It is located 7 minutes away from Shibuya station. The VIRON breakfast, comes with various types of bread, and 6 jams, honey and chocolate spread to put on your bread! You can also get a cup of coffee or tea, and orange juice. Enjoy some tasty bread and coffee to start of your day! For lunch, there are a ton of delicious dishes to try, such as the roast pork or the Nicoise-Style salad. You can spend anywhere between ¥767 - ¥2,957. Tribeks is in the Hotel Century, close to Yoyogi station, Shinsen-Shinjuku Station or Minami-Shinjuku Station. Breakfast is ￥2,592 for a lovely buffet, with pancakes, waffles, fresh fruit, etc. Lunch is ￥3,240 for a beautiful French buffet. It's the perfect place to bring a date as the view is beautiful and the decor is modern and elegant.